With rarely seen visuals high above our planet, moments of tense drama that are both emotional and scientific, and an underlying message of clean-energy hope for the future, this documentary showcases Swiss explorer-pilots Bertrand Piccard and André Borschberg as they try to be the first team to circumnavigate the globe in a solar-powered plane. Both filmmakers answered these questions together. Were you hired to make this film, or how did you become a part of this intimate team? We were researching ideas for our next film in the summer of 2014, and came across an article about two Swiss guys with a crazy plan to fly around the world without a drop of fuel. Immediately this struck us an incredible environmental adventure story but also an important moment in history to capture. We emailed the pilots and introduced ourselves and soon after we were hopping on a plane to Switzerland to meet them and see the plane. We were drawn to Bertrand and Andre’s fierce commitment to their vision, and blown away by how on the edge everything was. It’s a plane the size of a 747, but with the weight of a car. A plane you can poke your finger through. 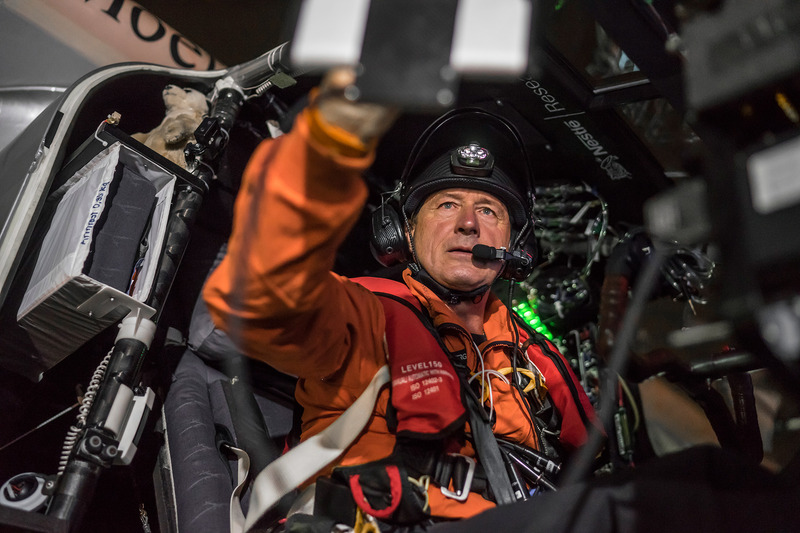 We realized the project was really pushing the boundaries not only of technology but also of the human experience, with the pilots training to fly five days alone in a cockpit over the Pacific Ocean only allowed to sleep for 20 minute segments. Through our multiple conversations with the pilots, we gained their trust and ultimately the exclusive documentary access to tell the behind-the-scenes story of their journey around the world. This was a marathon project, so also a marathon filmmaking project. Were there ever any time when you thought about quitting like the team did? It was certainly a marathon in terms of the filmmaking process. We took a huge risk walking out the door to film as they set off around the world from Abu Dhabi, not knowing if they would make it even a quarter of the way towards their goal. But we both felt strongly that this was something we had to capture on film, no matter what happened. There were certainly times of doubt, in many ways that mirrored the team’s uncertainties, like when the plane and the story was stuck in China for two months as they failed to find a safe passage across the Pacific Ocean. We knew if the plane didn’t make an attempt at one of the big oceans, we likely didn’t have a viable story in the end. But as the frustrations of the team mounted after numerous setbacks, we also knew that this was becoming the heart of our story: We were witnessing what it really takes to do something revolutionary. Were they open to having their internal conflicts exposed on-screen? That provided good drama for the story. It was a gradual process of building the pilot’s and the team’s trust in understanding that the story was too important not to be honest and real about what they were going through along the way. Because so much was on the line — 13 years of work, a huge financial investment, and the pilots lives — the in-the-moment decisions and sharp divisions within the team that ensued were very intense to witness. The pilots and their team, many of them long time friends who had worked with them for 10 years, each had to confront their own fears and grapple with risking their friend’s life. 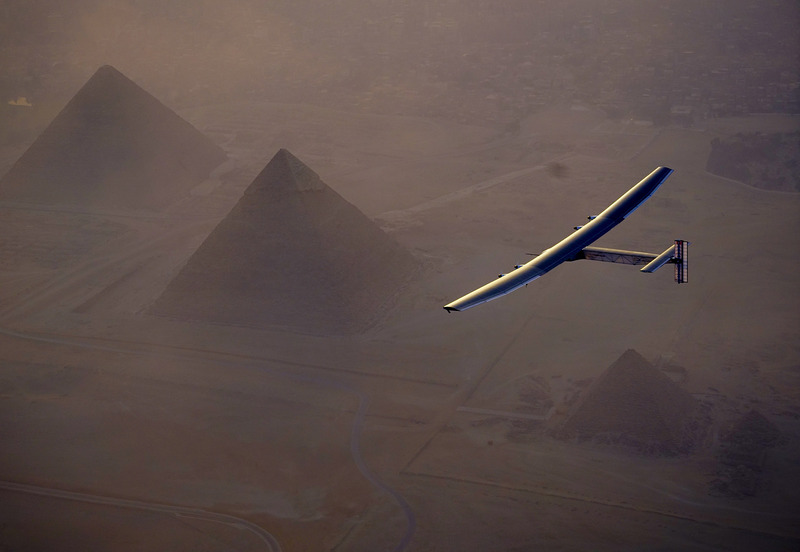 Solar Impulse set out to fly around the world to show people the potential of clean, efficient technology. The incredible energy efficiency solutions found on the plane, from the motors to the insulation, can all be applied in our lives today, in the way we build our cars, homes, and cities. But we were drawn to this epic story for its potential to also inspire on a grand scale. As we face so many daunting challenges in the 21st century, including climate change, this story about courage, grit, and teamwork against the odds, provide some insights about how we might collectively be able to tackle them. What is your next project? We have several stories in the early stages of development, one scientific and the other environmental in nature, but both share the thread of a strong human drama at their core. 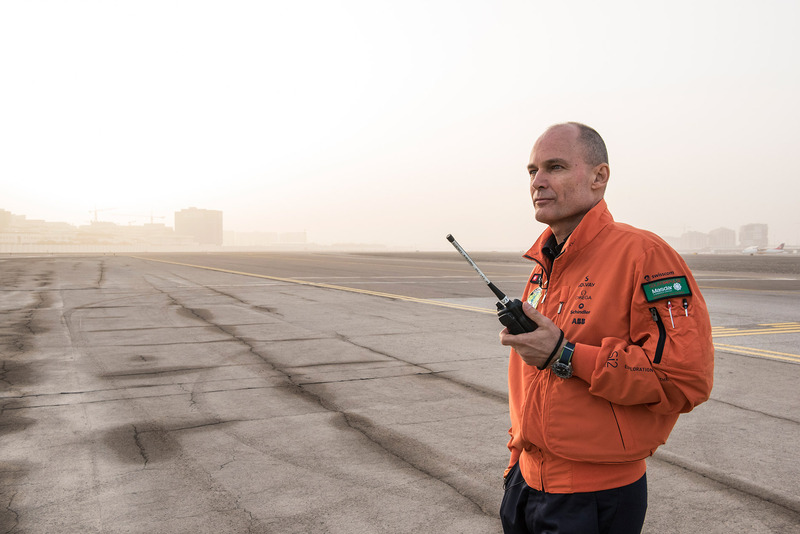 Like the story of Solar Impulse, people must connect with the characters on screen and feel the emotions they are feeling. Intimate, experiential storytelling is what we love best.